The Local Clean Energy Alliance and the Oakland Climate Action Coalition’s Clean Energy and Jobs Oakland Campaign are celebrating two momentous victories: moving forward with Community Choice energy in Alameda County, and defeating AB 2145, the Utility Monopoly Power Grab of 2014. 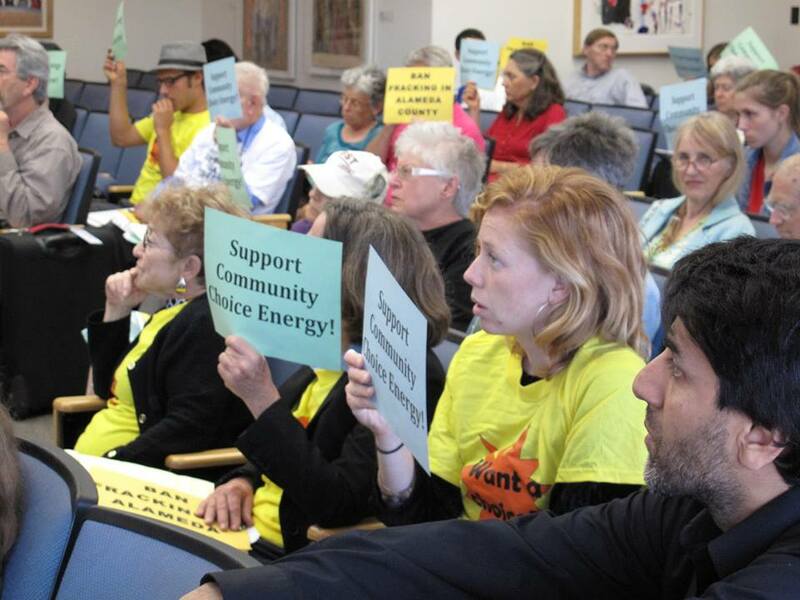 On June 3rd, with the support of a hundred community members, Alameda County Board of Supervisors voted unanimously to work to establish a Community Choice energy program for the East Bay. Much work remains to implement the vision of our Clean Energy and Jobs Oakland Campaign: significant local build-out in community-based renewable energy resources to create quality, unionized family-sustaining jobs, especially for low-income communities of color most impacted by pollution and climate change. We are working in coalition to ensure that social, economic and environmental justice organizations, as well as organized labor are at the table as legitimate decision-makers in shaping our East Bay Community Choice energy program. Get involved with the Oakland Climate Action Coalition’s Clean Energy and Jobs Oakland Campaign. Email colin@baylocalize.org to get involved! As the final gavel fell on this year’s state Senate legislative session at 3 am on August 30, AB 2145, the bill meant to kill Community Choice energy programs in California, met its own well-deserved demise. This result was a stunning victory for community-based clean energy advocates. 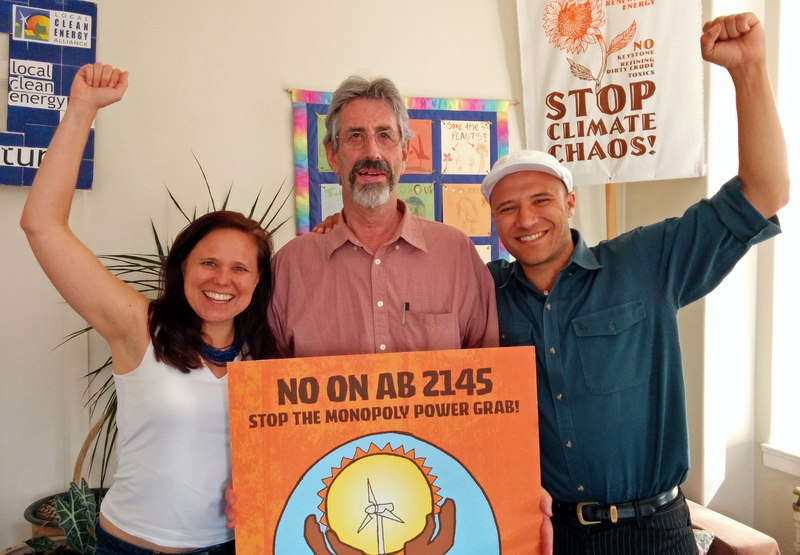 Over the last several months, the Local Clean Energy Alliance was instrumental in organizing and helping to lead a statewide coalition of over 200 organizations, Californians for Energy Choice, to defeat AB 2145. From grassroots organizing and education efforts, including a 100-person rally in front of PG&E’s Oakland office, to lobbying and advocacy in Sacramento, our Local Clean Energy Alliance was instrumental in defending the ability of communities across California to control their own energy destinies and create thousands of local clean energy jobs.